A Catered Wedding Celebration Tops Off Your All-Inclusive Wedding Day! 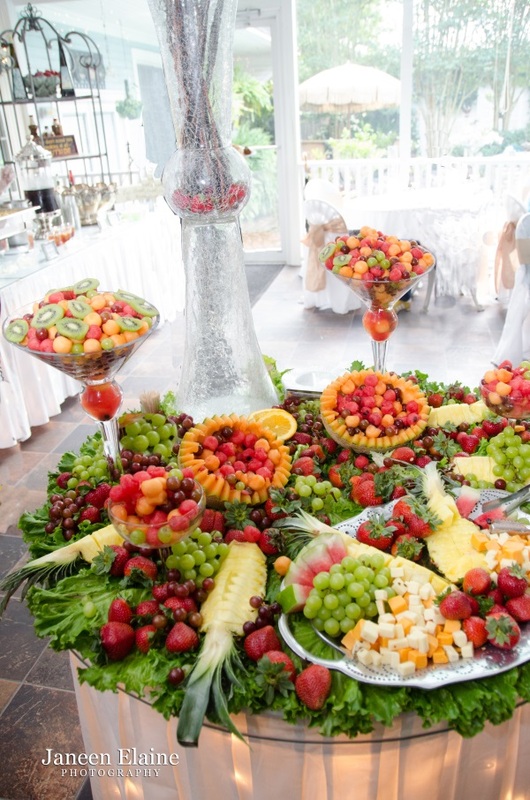 At Sunny Meade, our all-inclusive wedding services include a complete catering package. All our food is prepared on the grounds in our state-of-the art kitchen by our highly-skilled culinary staff, who are experts at catering to a variety of palates. Our chefs can tailor our menus to your preferences or tastes, ensuring that you and your guests will enjoy and remember our Southern hospitality and cuisine. All-Inclusive Wedding, Down to Smallest Detail! Our catering contracts include food, glassware, silver serving utensils and all required event staff. All beverage services (including non-alcoholic and alcoholic packages) will be provided through Sunny Meade. We offer a variety of open bar and cash bar packages. All beverages, staff, and glassware will be provided through our beverage contract. We provide four different menus to choose from that will be sure to please all your guests. In addition, our outdoor wedding facility and indoor reception offers a decorating package that includes centerpieces, candles as well as linens on the cake tables, floral arrangements and more. Our catering packages are all-inclusive so on the day of your wedding all you have to do is show up and enjoy your special day of romance and celebration!